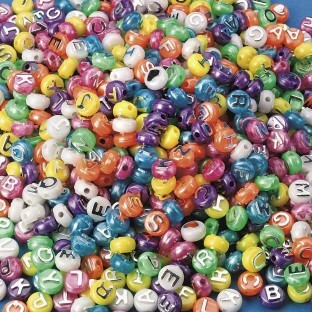 Pearl alphabet beads assortment contains full set of alphabet beads and some hearts, too. I was extremely dissapointed in these beads. The color variety is great and the beads looked great but after wearing them even for a week the paint on the letters wears off rendering them unreadable. I was satisfied with how many I got but I won't be using the rest and I'm sorry I wasted my money on them. 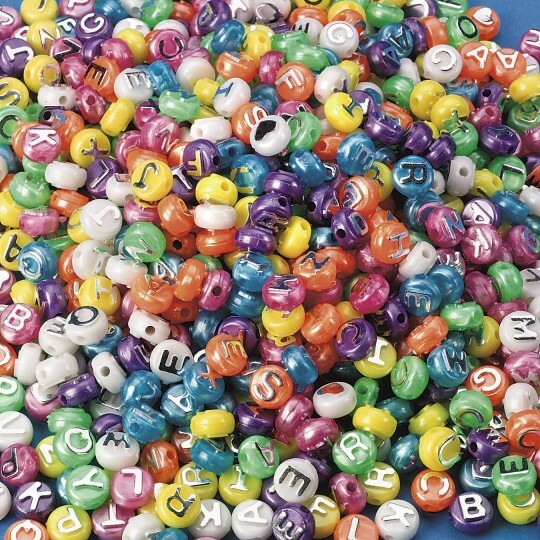 I used these beads to make bracelets with words on them. they look great until you wear the bracelet a few times then the coloring on the letters gets rubbed off and they become illegible.